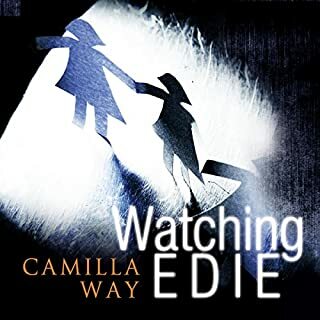 Six years ago, Evie Cormac was discovered, filthy and half starved, hiding in a secret room in the aftermath of a shocking crime. Now approaching adulthood, Evie is damaged and self-destructive and has never revealed her true identity. Forensic psychologist Cyrus Haven, a man haunted by his own past, is investigating the death of champion figure skater Jodie Sheehan. When Cyrus is called upon to assess Evie, she threatens to disrupt the case and destroy his ordered life. A lost child. A shattered past. A life going under. Vincent Ruiz is lucky to be alive. 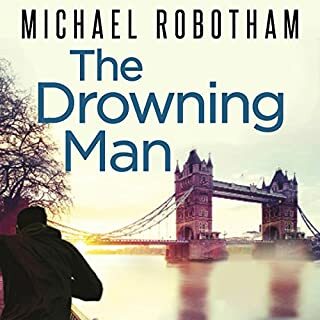 A bullet in the leg, another through the hand, he is discovered clinging to a buoy in the River Thames, losing blood and consciousness fast. It takes six days for him to come out of his coma and, when he does, his nightmare is only just beginning. Because Vincent has no recollection of what happened and nobody believes him. There are some friends you'll never forget...no matter how hard you try. Before: Edie is the friend that Heather has always craved. But one night it goes terrifyingly wrong. And what started as an innocent friendship ends in two lives being destroyed. After: Sixteen years later Edie is still rebuilding her life. But Heather isn't ready to let her forget so easily. It's no coincidence that she shows up when Edie needs her most. I close my eyes and feel my heart begin racing. Someone is coming. They're going to find me. A mother and her teenage daughter are found brutally murdered in a remote farmhouse, one defiled by multiple stab wounds and the other left lying like Sleeping Beauty waiting for her Prince. Reluctantly, clinical psychologist Joe O'Loughlin is drawn into the investigation when a former student, calling himself the Mindhunter, trading on Joe's name, has jeopardised the police inquiry by leaking details to the media and stirring up public anger. What can I say without revealing anything? As usual Sean Barrett narrated the story with empathy and brilliance - a remarkable performance. I usually listen while walking the dog and I was aware about half way through the book that I had stopped and was staring into space; not quite believing what I was hearing. I have read/listened to thousands of books and I am not sure that any of them affected me emotionally as much as this particular one. I have read better or cleverer literature with cunning plots or profound messages but this hit me hard. In fact it was so good that I waited until I had a quiet half hour alone in the house before listening to the end. Wow! 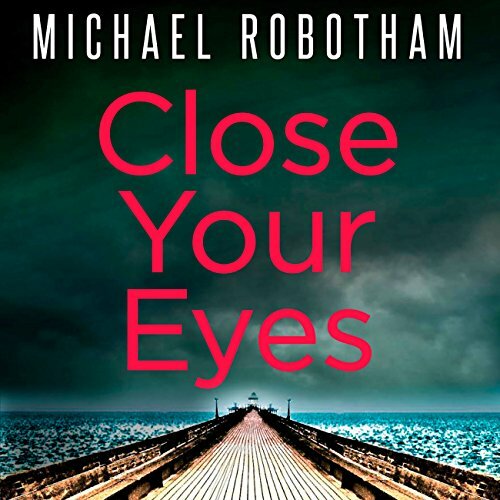 Michael Robotham has surpassed himself with this one. This was a super 'edge of the seat' book, I really enjoyed it - I do like Joe, I know he is rather melancholic, but not irritatingly so. 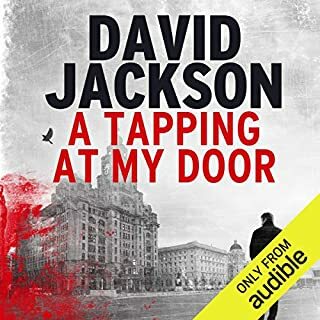 He is so real in the way he deals with things and his logic and crime solving are realistic rather than some of the leaps of faith one reads in some novels. 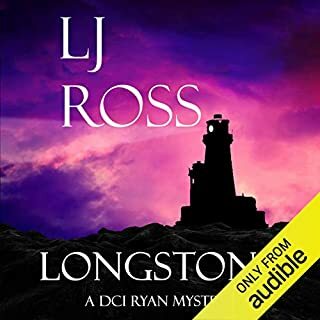 The writing was excellent - red herrings galore, and a good plot well executed. My only niggle, is that there were TWO personal narratives, one was Joe's and the other - the killer's, but I could not always tell immediately when the killer cut in. However - I soon got the hang of it and I didn't see the ending or the killer coming. Sean Barrett is brilliant - as ever!. I read this in just over a day, just couldn't put it down. This is the kind of crime/thriller novel I prefer. Not too much lascivious description of horrible things being done to victims: more an investigation into the why a person becomes an abuser or murderer. 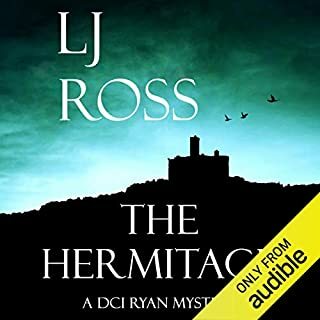 The main character is the likeable psychologist, Joe O’Loughlin, roped in by the police to help in a murder investigation that’s going nowhere. 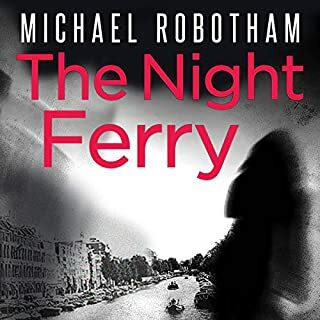 He’s a sympathetic character, more so because of his disability, who is aware of the limitations of psychological profiling but does offer insight into cases. His family life is woven into the story making the novel more interesting. There are twists and turns and false leads that keeps the narrative bowling along at a fast pace. 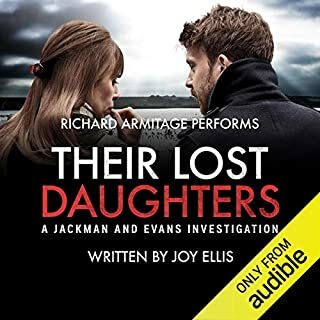 The final chapters are a bit frenetic and there's a dubious scene in particular involving the psycholoigst’s daughter. OMG How good was that! 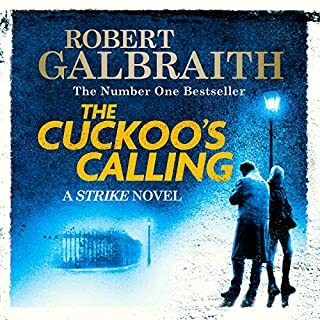 I think the ending of this book is amazingly moving, having Ruiz find Joe on the floor and Emma asks, "Whats wrong with daddy?" I couldn't stop myself laughing at the reply of "he fell out of bed"
"But thats not his bed" came Emmas reply. There are many funny parts to this book, as always, but some seriously sad moments too. 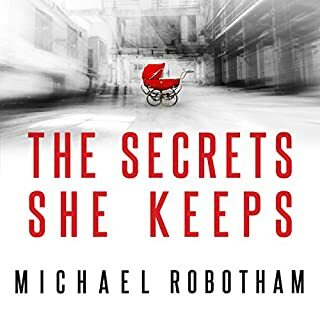 If you are an avid reader, this book is definitely worth every penny!Its full of suspense, intrigue, laughter, tears, twists and turns. Right to the end I was trying to find the 'bad guy' and was totally enveloped ion the drama throughout. 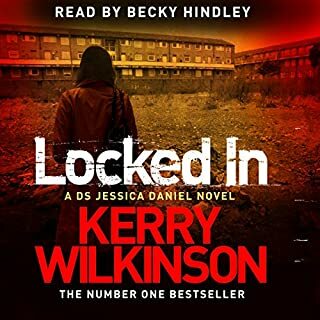 I really enjoyed this story, it had enough suspense and intrigue to keep me going on my holiday. 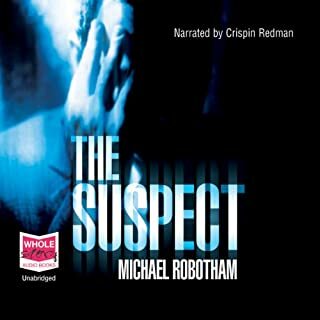 My only thought was it would have been helpful if the narrator distinguished between the main character's voice and the murderer. At a few points, especially at the beginning, I wasn't sure who was speaking. 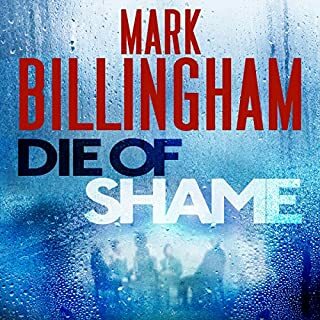 Another amazing story in this unrivalled crime series. Emotional and heartwarming, tragic and devastating. Every part, the truly psychological drama, with one of the best narrative styles I have ever read/heard. You care about every character, and can visualize every scene. Excellent! Fabulous! Can't wait for the next book! Excellent story with right amount of tension. Outcome came as a surprise which is unusual as usually have guessed the culprit way before. With this one I found myself irritated every time ordinary stuff & life got in the way & I'd to pause/stop. It's a good old-fashioned psych-thriller, hangs together beautifully & the pace is just right. What did you like most about Close Your Eyes? 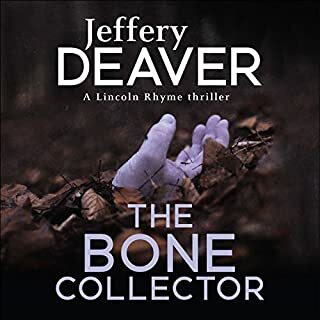 The narrator is simply brilliant and brings all the stories he reads to life. The story was laid out perfectly, never got boring, never went off track, moved along at a perfect pace. The last few chapters, a little unexpected and very moving. 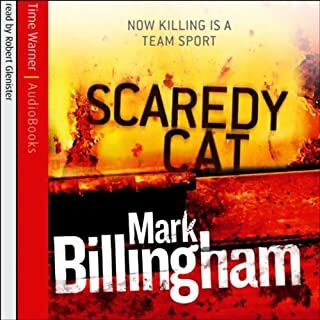 Really good listen and now eager to read more from this author with the same narrator. Oh thank God a decent book at last! I thought I was condemned to read crap books forever. I don't want to spoil anything for other readers so I will be brief. 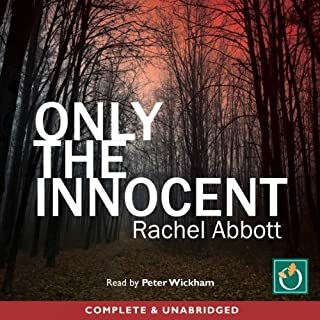 The narrator was first class and the story was a very good murder whodunnit. 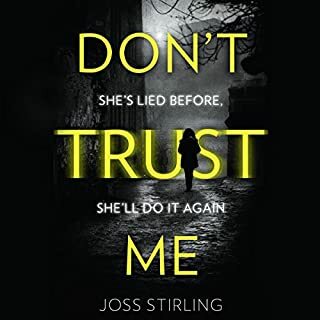 This is the latest in the series featuring psychologist Joe O'Laughlin and for me the best thing is the continuing dynamics of the characters and the emotional connections between his family and his partner. I loved it give this a go! 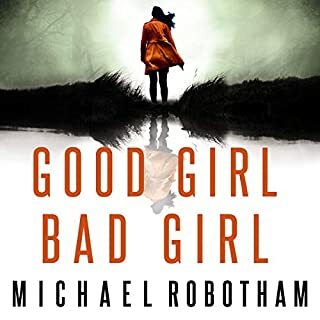 I am a huge fan of Michael Robotham in general and an equally huge fan of his Joe O’Loughlin series. He understands that we want both a good mystery story and a ‘novel’, i.e. a prose narrative about relationships. We have followed Joe’s bouts with Parkinson’s disease and his breakup with his wife Julianne. Joe has bad luck in that his investigation of crimes has a way of impinging upon his family life. His kids might be dragged into the action and this, as night follows day, can affect his primary relationship, with Julianne. In Close Your Eyes his relationship with his family is at the heart of the narrative. Julianne seems open to the possibility of a reconciliation (they were never divorced), something that Joe would very much like to see happen. Unfortunately, Julianne has to go to hospital and Joe must look after his daughters Charlie and Emma while visiting his hospitalised wife as often as possible. In the meantime there is a murder to solve. A young mother and her daughter have been murdered in a local farm house. (We are at the O’Loughlins’ cottage in Somerset for this novel.) The daughter was dispatched efficiently, the mother slaughtered brutally. As the case develops Joe learns that there have been other related cases, some of whose victims have had A’s carved into their foreheads. The perp is introduced (but not identified) early in the narrative and we hear his take on things. His life has been very troubled and his family situation continues to haunt him. On a side note, the novel is set near Weston-super-Mare, about 18 miles from Bristol. As luck would have it, we have friends there and I have seen that area and can attest to the accuracy of the atmospherics which Robotham (an Australian from Sydney) creates. 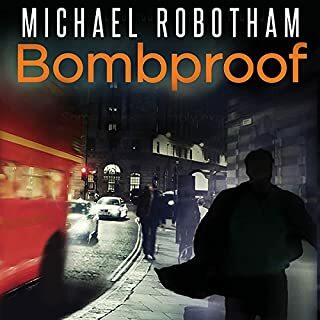 Bottom line: this is a first-rate Robotham novel and –given some important plot developments which I will not spoil—no readers of the O’Loughlin series should miss it. Once again, I was not able to put this book down. What did you love best about Close Your Eyes? Again Sean is champion I google audio books that he narrates and select from there. in each one. Bravo again.